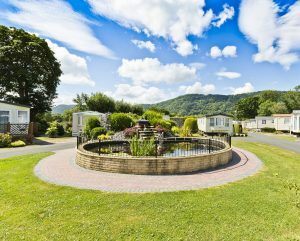 With 9 Stunning 5* Award Winning Caravan Parks across Wales, Cheshire & North Yorkshire we are certain we have the perfect location for your next move! Lately, we have experienced a number of Thornley Leisure Park Owners who love their current park and location but fancy a change of location. Is this something you have thought about? As an owner, you already know the benefits of holiday home ownership and the fantastic lifestyle it brings. However, you may have exhausted all the wonderful places to visit at your current park location and it may be time for a change? At Thornley Leisure Parks we offer something for everyone, beautiful parks in stunning locations from countryside parks in areas of outstanding natural beauty to coastal parks in popular tourist locations. Whether you are looking for somewhere with activities for all the family or just somewhere to kick back and relax, we’ve got it all. With almost 200 Holiday Homes and Lodges to choose from across our 9 Parks, we are certain if you are ready for a change we have got the perfect park and holiday home waiting for you. Mr & Mrs Clements have been holiday home owners with us for 11 years starting at Maenan Abbey then moved to Craiglwyd Hall and recently upgraded onto The Beach Caravan Park. 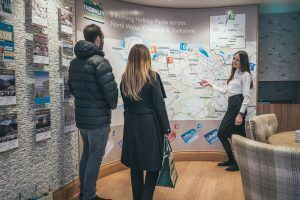 ” The managers and park staff at both Maenan Abbey & Craiglwyd Hall were fantastic and went above and beyond their remit to help and support owners. Liz & Graham at Maenan Abbey were very helpful and amazing at hosting the on and off park owners events. Tony & Gill were also very helpful and fantastic hosts organising lots of great games and events. We always felt like part of the Thornley’s Family and long may this continue. We decided to move to The Beach because we fell in love with the location and the fabulous pitch with a large balcony, sea views, garden access which gets the sun all day. We decided to move within the Thornley Leisure Park group because of the good experiences we have had with the previous park managers.” Mr & Mrs Clements. Home Advice Centre in Conwy where our friendly and helpful team are on hand to answer all your questions. Alternatively, call them on 01492 573918.